The Supreme Court's "Citizens United" decision in 2010 frustrated many who sought more transparency regarding political donations. It was a sharply divided 5-to-4 ruling, but in the end it gave corporations First Amendment rights allowing them to anonymously donate unlimited funds to political action committees. The result was record spending for the 2012 elections paid for by prolific donors -- companies and wealthy individuals -- whose identities were not made public. For investors, there was no legal way, it seemed, to know how much money and to which candidate or political cause a company was donating. How exactly does this secrecy affect investors? For one thing, shareholders are trusting the companies in which they invest to be good stewards of their capital. As stakeholders in businesses, they have reason to worry that the amount of money and where it is donated could have a detrimental effect on the value of their investment. Current law leaves them in the dark about these expenditures -- and they don't like it. An end run around the "Citizens United" wall of secrecy is taking shape in the form of lawsuits filed by institutional investors against companies they have holdings in to try to force disclosures of those companies' political spending. One of the latest of those lawsuits -- with one of the highest profiles -- has been filed against computer-chip maker Qualcomm (QCOM) by the New York state comptroller, Thomas P. DiNapoli. DiNapoli is the sole trustee of the New York state pension fund, which is the largest public pension investor in Qualcomm shares ($378 million worth), and the country's third-largest public pension fund ($150 billion in assets). He filed the lawsuit on Jan. 2 in Delaware, where Qualcomm is registered, after the company rebuffed his attempts to view its records of political contributions. A statement released by DiNapoli's office said the suit against Qualcomm was "for the right to inspect the company's books and records to determine how shareholder funds are being spent for political purposes." "As a shareholder in public corporations, the [pension fund] has a right to be properly informed about the use of corporate funds to influence the political process," DiNapoli said in the statement. 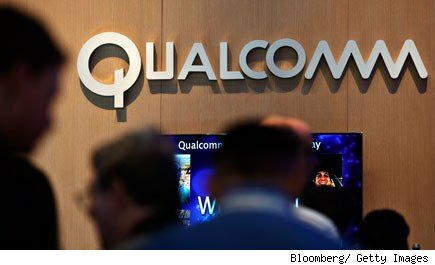 Qualcomm's general counsel, Donald J. Rosenberg, said in a statement that the company "is well regarded for its open and transparent culture and fully complies with all local, state and federal laws governing political activity and the disclosure of that activity -- and the lawsuit does not suggest otherwise." Qualcomm is not the first company from which the New York state pension fund has tried to extract political spending records. Over the last two years it has filed shareholder resolutions with 27 other companies seeking such information -- but it has only been successful with 10. DiNapoli is not fighting this battle alone. In 2010 the New York state pension fund joined with the Council of Institutional Investors -- an association made up of pension funds, endowments, and foundations -- in requesting that 430 S&P 500 companies disclose their political contributions. The deputy director of that council, Amy Borrus, told The New York Times, "We believe that shareholders have a right to know how money is being spent in the political arena. Boards need to step up to the plate and ensure that political checks that a company writes enhance, not erode, shareholder value." Knowing where a company's money goes and for what purpose are necessary pieces of information for any investor -- not just ones with billions of dollars in assets to manage. These words from DiNapoli hold true not only for the New York state pension fund, but also for the smallest investor: "Without disclosure, there is no way to know whether corporate funds are being used in ways that go against shareholder interests." And that simple concept may become the hammer that cracks the corporate privacy wall built on the foundation of the Citizens United decision. Motley Fool contributor Dan Radovsky has no position in any stocks mentioned. The Motley Fool owns shares of Qualcomm.